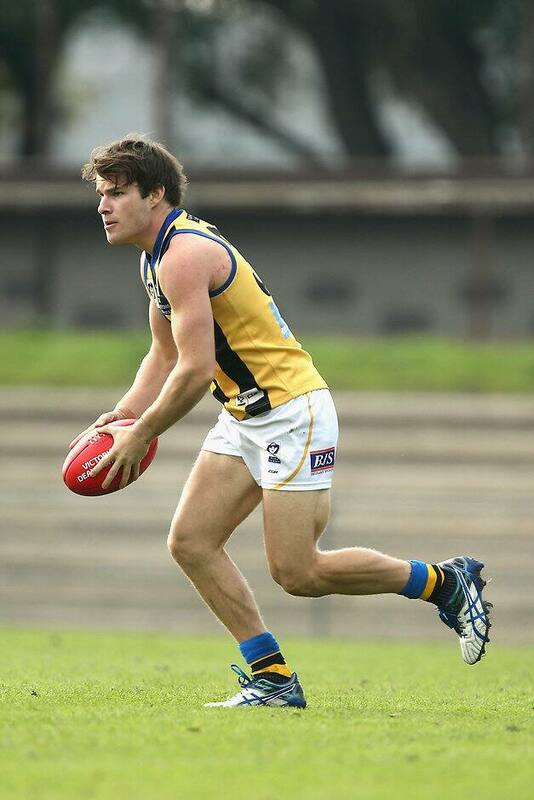 Nathan Freeman collected 25 disposals against Collingwood on Sunday. A four-goal haul from key forward Josh Bruce wasn't enough to get Sandringham over the line at Victoria Park, with Collingwood confining the Zebras to their third consecutive loss on Sunday. Despite kicking the first two majors of the final term, the Magpies regained ascendancy late in the encounter to win 14.8 (92) to 11.12 (78). In a much-improved effort from the heavy loss to Footscray a week earlier, Sandringham started strongly with a four-goal first quarter and was on top in tackles, clearances and inside 50s at the first break. VFL coach Lindsay Gilbee was very pleased with the intensity from the first bounce before Collingwood piled on a six goal second term to only trail by two points at the main break. The Magpies not only matched the Zebras at the contest but got on top in the second half, outscoring the visitors six goals to three in the final two quarters. St Kilda defender Bailey Rice appeared to roll his ankle in the third term and was on crutches post-game. St Kilda forward Josh Bruce was a clear standout in the first three quarters before being rested for the final term. He finished with four goals, eight marks and 11 disposals. Darren Minchington again showed his quality at VFL level with a strong display, pressing his case for a recall after by kicking two goals along with 23 disposals and seven tackles, while Nathan Freeman collected 25 disposals and eight tackles against his former club. Midfielders Luke Dunstan and Nick O’Kearney also produced solid games with 30 and 31 disposals respectively, also combining for seven tackles between them. Another tough trip awaits Lindsay Gilbee and his team in Round 9, with a trek down to Burbank Oval to face the third-placed Williamstown next Saturday afternoon. The Seagulls are in strong form and tough to beat at their home ground, providing the Zebras with a tough test before the bye in round nine.